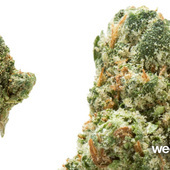 A strong, skunky sativa with an impressive diesel fuel smell. Add in a lemony aftertaste, and this is one tasty medicinal strain. Great for beginners as well, this strain is easy to grow and well documented. a great strain for waking up and getting things done during the day, great for anxiety.